BitTorrent may be making an effort to become a more legitimate company. Later this year, BitTorrent is planning to start offering its own series of original movies which it calls “BitTorrent Originals.” Apparently, the company is looking to enter into the content entertainment industry. BitTorrent is teaming up with Rapid Eye Studios to create original video content for the company’s BitTorrent Bundle platform it launched back in May of 2013. The platform is lets the artists control the distribution of their content. Company officials claim that over 10,000 publishers have joined the BitTorrent Bundle platform since its official launch. The deal between the two companies gives exclusive video content usage of the BitTorrent Originals that are debuted on the Bundle platform to BitTorrent for up to 60 days. Afterwards, the content is permitted to be ran through any other distribution channel. A movie called “Children of the Machine” is the initial content project under this original video distribution deal. The agreement ties both BitTorrent and Rapid Eye Studios to a system where they identify, produce, and distribute original video content specifically for the BitTorrent Bundle platform. The company plans to provide complete support of marketing for every original video in its network. Rapid Eye Studios percentage of the sales will be 90%. The CEO of BitTorrent, Eric Klinker, feels that teaming up with Rapid Eye Studios is a huge milestone for the company and it also signifies BitTorrent’s aggressive extension into the media arena. The first project under this original video distribution agreement is the movie Children of the Machine. BitTorrent will announce more BitTorrent Originals titles in upcoming months. BitTorrent is expecting to launch its first original content project, “Children of the Machine,” on BitTorrent Bundle later this year, towards the end of the year. The content will be being offered for free, although it will be advertiser-supported. BitTorrent is planning eight 1-hour episodes for the first season of the project. The content will be reaching somewhere between 60 to 80 million viewers across the globe. BitTorrent Originals content’s targeted audience consists of viewers between the ages of 14 to 25. According to officials from the BitTorrent company, this is the demographic that makes up the majority of its user base. The company’s plans include 2 related products to the offering of its first-run movie. One of these products is a premium version of the original series for $9.95. The other product is a video game version of “Children of the Machine” to be both launched and distributed via the BitTorrent Bundle platform.The company’s strategy is mostly based on reinventing itself and becoming more appealing to younger consumers– primarily those who may not know about the past exploits of the company. BitTorrent created file transfer protocols for its peer-to-peer file-sharing which is used in the distribution of huge amounts of data via the web. Over the past 2 years, BitTorrent has become a much more trusted and valid channel for both creators and publishers, in order to be able to directly reach a worldwide audience. 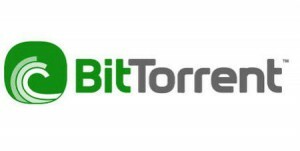 Klinker claims that the company’s extension into the original content arena will make BitTorrent an even more serious participant in the media business. This new model of business for BitTorrent brings it another step closer to reaching its primary goal, which is to create a sustainable digital future for all types of creators. Klinker also claims that BitTorrent’s larger audience of more than 170 million active monthly users give it an advantage over other original content distributors like Netflix, Hulu and Amazon Prime.